Copper is one of the most commonly used metals in the world. You may not realize it but you use copper everyday. 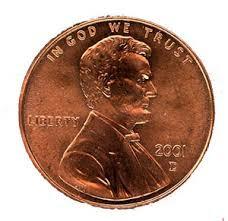 It is used in ways we know and see, like when we spend a penny. 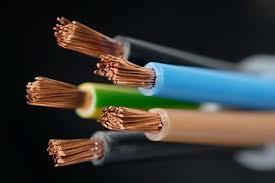 However, we also unknowingly use copper on a daily basis because copper can be found in almost all wiring. For example, every time you turn on something electric, like your lights, copper is used in the wires that make your lights work. Copper is also used in most power generation and transmission. It is used in motors, generators, and radiators. Copper is found in wiring, roofing materials, heating and cooling systems and pots and pans. Copper is a very common element that you may come across everyday. Copper does not react with cold dilute acids. However copper most commonly reacts when heated. When heated, copper turns to a black solid called, copper oxide. Copper reacts when when combined with hot sulfuric acid. Copper is an abundant element. It is about 70 parts per million is earths crust and is also commonly found in seawater. "Facts About Copper." Uses of Copper. N.p., n.d. Web. 24 Oct. 2015. <http://geology.com/usgs/uses-of-copper/>. "History of Copper." Copper History: Copper through the Ages. N.p., n.d. Web. 27 Oct. 2015. <http://www.copper.org/education/history/>. Dingle, Adrian, and Simon Basher. The Periodic Table: Elements with Style!New York: Kingfisher, 2010. Print. Duncan, Richard D. Elements of Faith: Faith Facts and Learning Lessons from the Periodic Table. Green Forest, AR: Master, 2008. Print. "About Quatr.us." About Quatr.us. N.p., n.d. Web. 27 Oct. 2015. <http://quatr.us/aboutquatrus.htm>. Copper. Digital image. Periodic Table. N.p., 2 Oct. 2002. Web. 27 Oct. 2015. <http://periodictable.com/Elements/029/>.